Happy Thanksgiving! We’re in Oxnard, CA visiting my dad and planning to have Thanksgiving on his boat. Lots of people crammed on a boat trying to prepare food in a tiny kitchen, should be fun! :-P Luckily there’s a Whole Foods near our hotel where I picked up a Tofurkey Vegan Roast, vegan gravy, and vegan mashed potatoes, so I’m set. It was along drive to get here from Sacramento and we decided to take the scenic and less congested 101 rather than congested and aggressive 5 and that took us through San Jose right about lunch time. I was amazed at how many vegan restaurants were coming up in the local Yelp search, wow! Veggie Grill, Plant Based Pizza, etc. Very vegan friendly area! 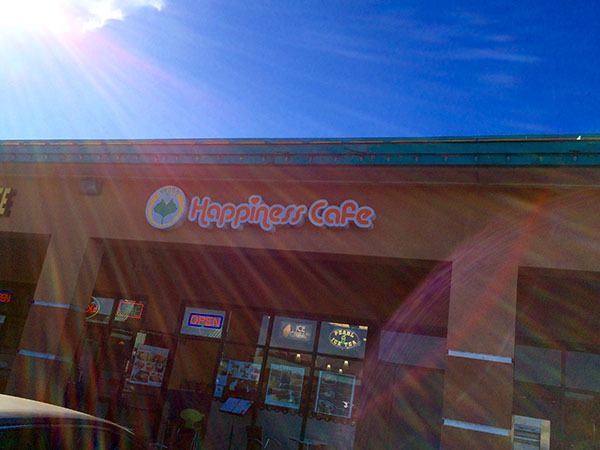 We decided on Happiness Cafe since it was the closest and easiest to get to from the highway. 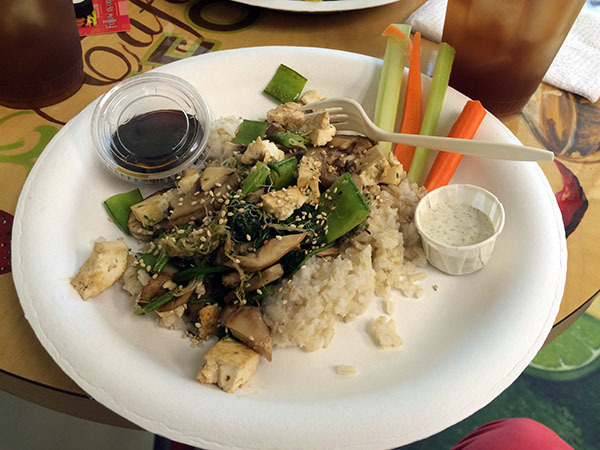 The menus has an interesting and fun mix of Asian-inspired dishes, vegan versions of classic sandwiches, Thai teas, salads, and loaded dessert waffles, obviously. And the cafe has a cute cat theme with playing cats painted on the walls, fun! 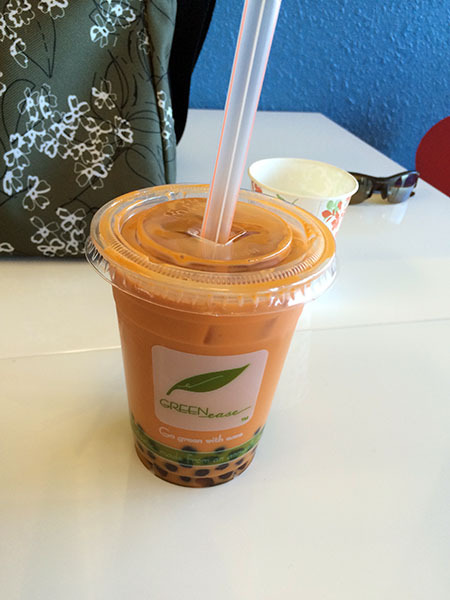 I started with the Thai iced tea with boba bubbles which are chewy tapioca balls in it. Believe or not, this was my first time having tapioca balls and what a unique and fun thing! They were chewy, sweet, and hearty surprises in my tea! 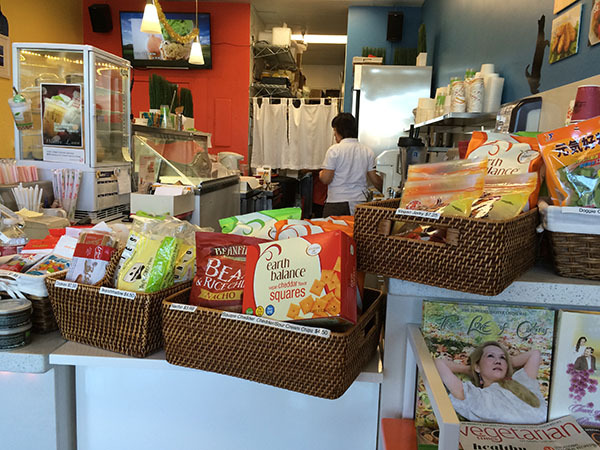 The little cafe is also packed with vegan snack foods, vegan pet food, and vegan books to buy. 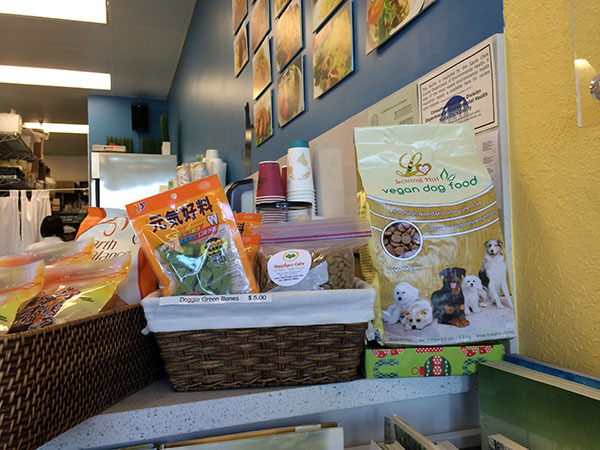 I didn’t know Loving Hut also has vegan dog food, might need to try that next! 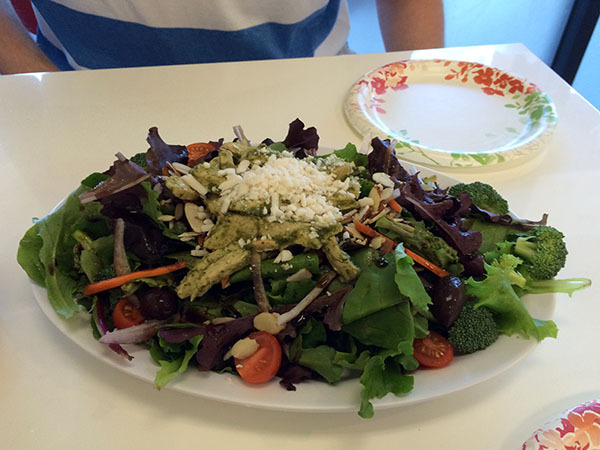 We shared the pesto vegan “chicken” salad. 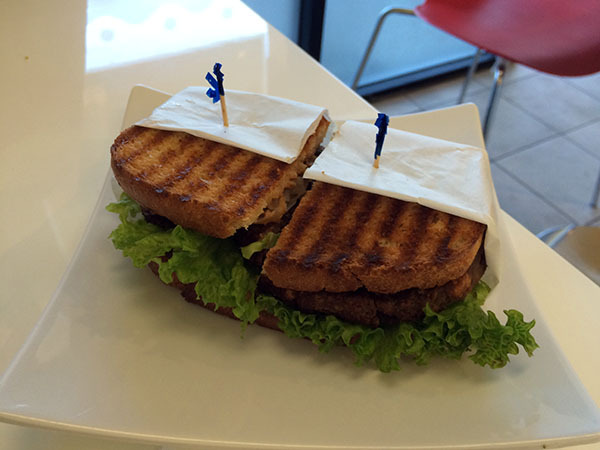 And vegan patty melt loaded with gooey Daiya cheese, mmmmm! Both dishes were great, the pesto sauce on the salad was awesomely garlicy and the patty melt was very hearty and delicious with toasted bread. We continued our drive south on 101 which took us through lots of beautiful farming areas, mountains, and Solvang where we saw the Windmill Motel where Sideways was filmed, fun. 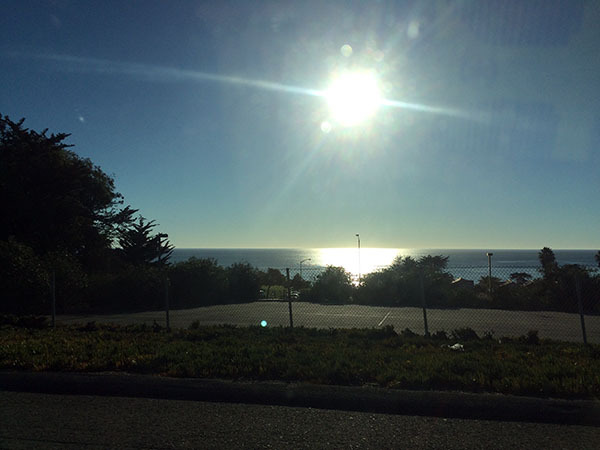 Then along the ocean in Pismo Beach. 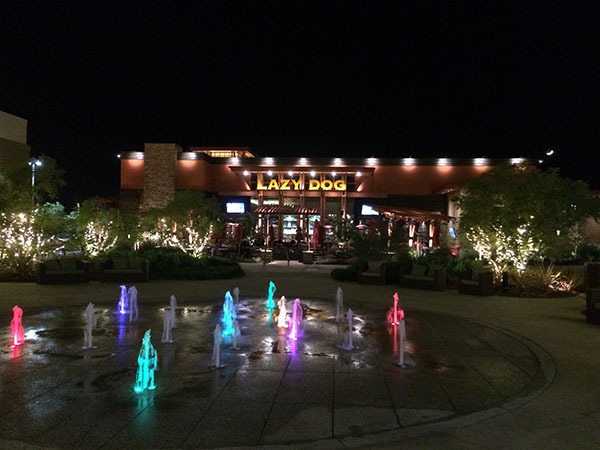 We finally made it to the hotel around 6:30pm and met my dad at Lazy Dog for dinner. It’s a neat dog-themed restaurant with a huge menu. But only one solid vegan option on the menu with a couple of easily veganizable vegetarian options. 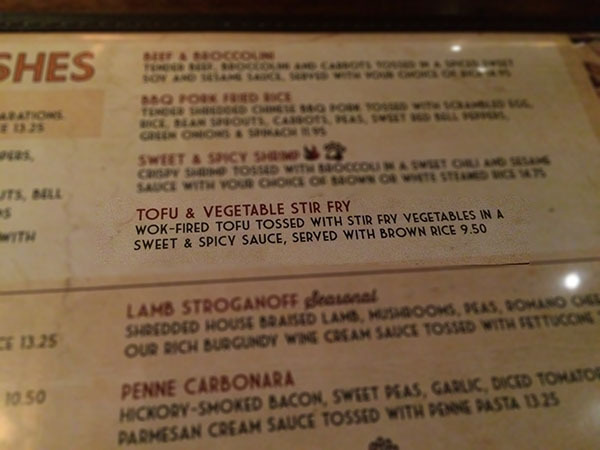 I went with the tofu stir fry and it was an impressive presentation. It was even better drizzled with Sriracha sauce. 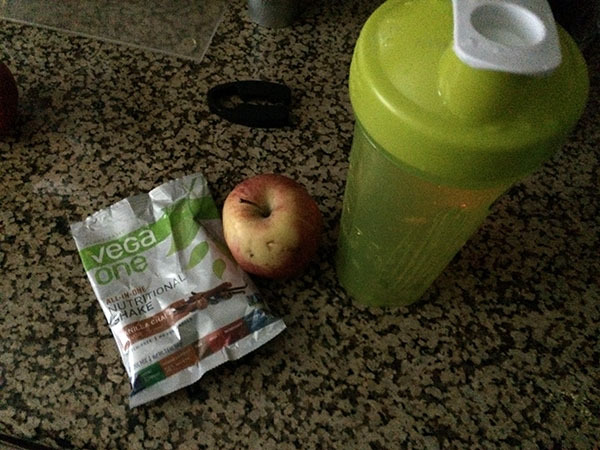 I played it easy for breakfast packing for this trip, Vega One Nutritional Shake packets with almond milk in a Blender Bottle with a piece of fresh fruit. Not super exciting, but nutritional and light with so much holiday rich eating. 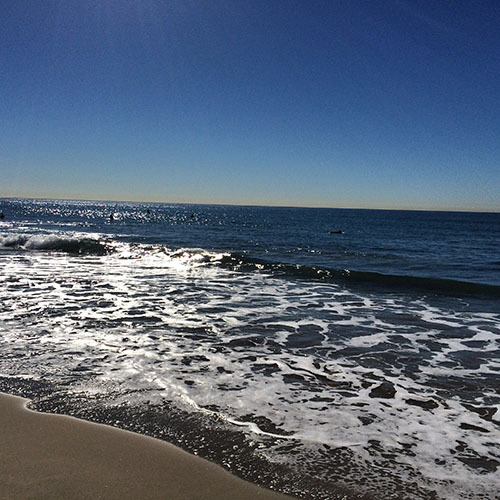 We spent yesterday exploring the Oxnard/Ventura area taking in the beaches. And wow, the weather and beaches were perfect! Sorry people in the northeast buried in snow, but temps are in the 70s here and clear. And I had fun taking panoramas of the gorgeous beaches and dunes! 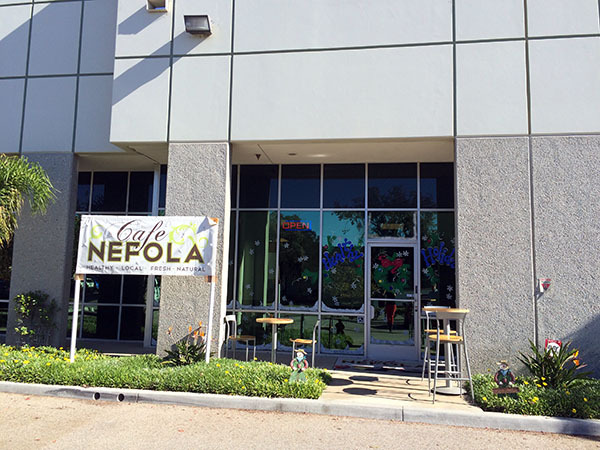 For lunch we found a local, newish vegan friendly cafe in the area – Cafe Nefola. It’s a healthy salad and smoothie place located next to a gym, seems smart. 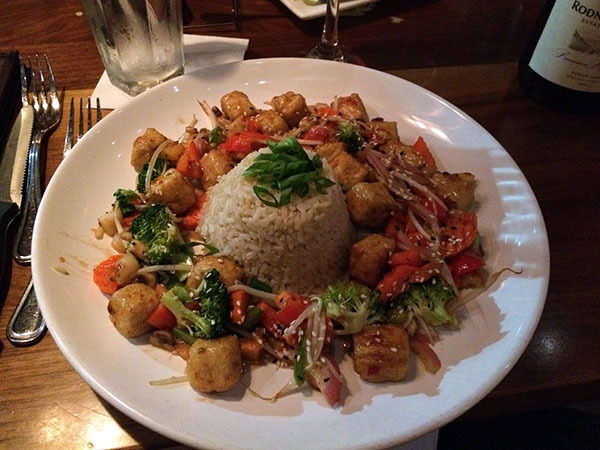 And I got another veggie tofu dish with sprouts and rice that was good. 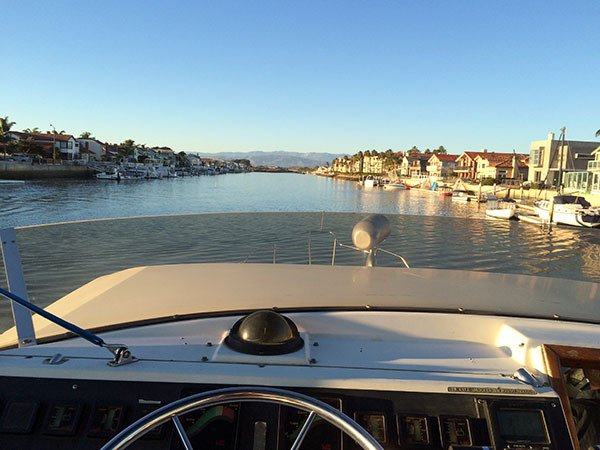 We wrapped up the day by spending the afternoon at my dad’s boat helping to get it set up for Thanksgiving then taking it for a cruise in a beautiful, ritzy harbor area. Great way to wrap up a fun day. The Oxnard area is nice, lots of new shopping and housing areas, but not a lot of traffic or crowds and very easy to get around. Not cheap since it’s near the beach, whoa! I was amazed that we’ve been able to get in and out of the shopping areas and Whole Foods so quick around Thanksgiving, not bad. You’re killing me with the beautiful, sunny beach pictures! It’s in the teens and snowing in the Chicago area. It’s nice around Christmas time, but then, I’m over it! You’re also so lucky to have so many vegan options in CA. All of the food looks so good. 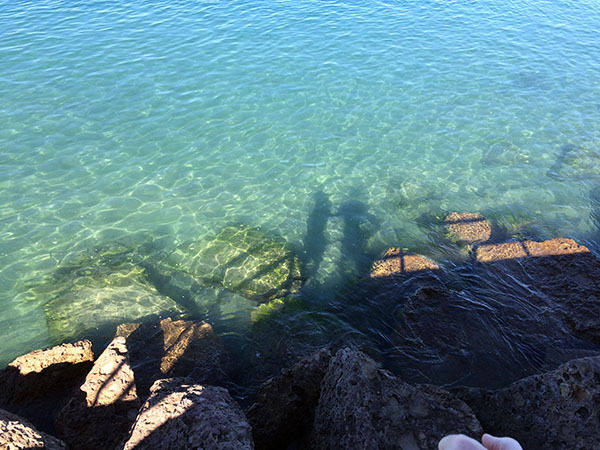 The water photos are lovely and the trip sounded like a great time! Thanks, I was amazed at the options in San Jose and hoping to see more in my area soon!